This is the latest installment of the Collegebaseball360.com Two Sport Report. We are updating the progress of college baseball players who also play sports like football, soccer and swimming. If you know of someone not on the list shoot us an email and let us know: editor@collegebaseball360.com. Parker graduated high school a semester early to enroll at Clemson in January 2008. He’s a redshirt freshman on the football team, but he will be a junior on the baseball squad in 2010. Parker has completed 74 of his 152 pass attempts for 895 yards with five touchdowns and five interceptions in 2009. 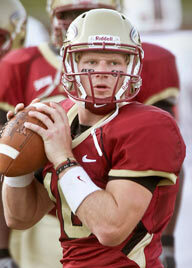 This season Riddle became the Southern Conference record holder for career completions and passing yards. For the season Riddle is 96 of 153 for 1,799 yards with 13 touchdowns and two interceptions for the Phoenix. Nelson is Hofstra’s second-leading receiver with 18 catches for 176 yards and a touchdown through the first six games of the season. Dornfried has hit 3 of 5 field goals and 16 of 17 extra points through the Crusader’s first six games. Like his former LSU teammate, Jared Mitchell (drafted and signed by the WhiteSox), Jones has both a football and a baseball national championship ring. He is LSU’s fourth leading tackler with 35 takedowns along with two interceptions. Jones is also averaging 24.2 yards on five punt returns, including a 93 yarder for a touchdown vs. Mississippi State. Peterson has 26 tackles, three sacks and an interception in the Cowboy’s first six games of 2009. He batted .366 with 16 stolen bases in limited action on the diamond last spring. Bronson is the Cowboy’s second-leading tackler with 39 through his first six games. Decker is one of two wide receivers on the Biletnikoff Award preseaon watch list who is on the two sport report. His 731 receiving yards are the fifth most in the nation. He has caught five touchdowns as well. Cooper started 20 games for the Cornhusker baseball team as a true freshman last spring. Hughes has recorded 26 tackles with an interception in the Colonel’s first six games. Wilson is a redshirt sophomore for the football team, but he will be a junior on the 2010 Wolfpack baseball squad. He has completed 132 of 225 passes for 1,659 yards with 16 touchdowns and four interceptions. Wilson has also rushed for 249 yards and three touchdowns through seven games. Maust has averaged 39.8 yards on 14 punts so far in 2009. As the holder on ND’s field goal team he completed a pass to convert a first down on a fake FG vs. USC. Sharpley is the ND 3rd string quarterback in 2009. This past season was Sharpley’s last season with the Irish baseball team. He was picked by Seattle in the 50th round of the June MLB draft. Sharpley batted .333 with 7 HR, 29 RBIs and a 1.043 OPS for the Mariner’s AZL Rookie League team. 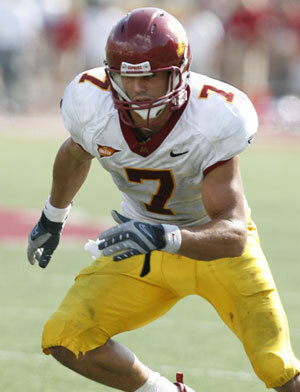 Tate enters 2009 on the Biletnikoff Award preseason watch list. He is ND’s leading receiver with 41 grabs for 719 yards and six touchdowns through six games. His 719 yards are the sixth most in the nation. Tate has also rushed for 96 yards and another TD. Tedesco is Sacred Heart’s leading receiver with 36 catches for 506 yards and four touchdowns through six games this season. Gerhart has the fourth most rushing yards in the nation with 897 yards on 168 carries with 12 touchdowns in Stanford’s first seven games of 2009. On Sept. 26th he rushed for 200 yards and a TD in Stanford’s 34-14 win over Washington. He became the first Cardinal back since 1988 to have a 200 yard rushing day. McVaney made 12 relief appearances as freshman for the 2009 Bobcat baseball team that made it to the NCAA Tournament. The fullback has three carries for six yards through six games in 2009. Szczur was second team All-CAA in football last season as a sophomore. As a redshirt freshman in 2009 he led the baseball team with a .346 average. Szczur was a 38th round draft pick by the Los Angeles Dodgers out of high school in 2007. 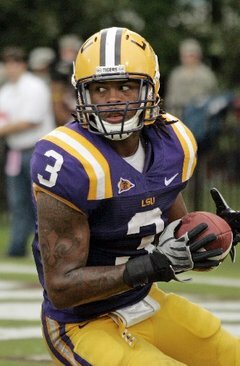 He has 24 catches for 234 yards in seven games for the Wildcat football team in 2009. On Sept. 19th he returned a kickoff 87 yards for a touchdown on the game’s opening kickoff vs. Penn. Szcur is averaging 29.6 yards on 16 kick returns this season.